GET READY FOR GLACIER COLD WATER ALL DAY LONG! 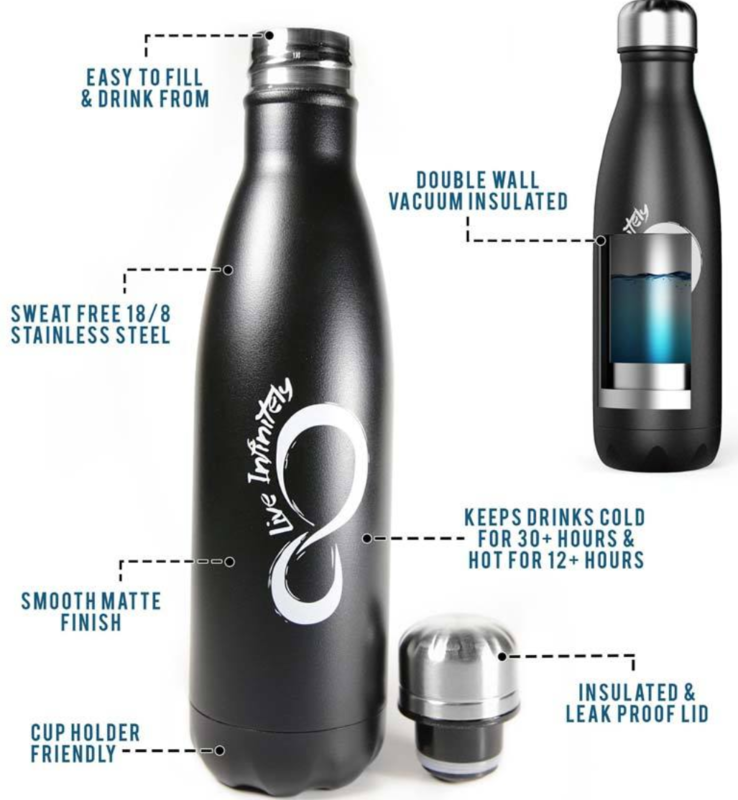 Our 17 oz (502ml) double walled vacuum insulated bottles are made of premium 18/8 food grade stainless steel which keeps your ice frozen 30+ hours and your coffee at the perfect temp for 12 hours like pure magic! We used only top quality food safe 18/8 stainless steel that is BPA free, rust resistant, shockproof, sweat free and leak proof. Take your warm or cold beverage on any adventure! With its sleek cola shaped design and lightweight construction it's perfect for yoga, hiking, biking, the office, your car's cup holder and any outdoors activity! The cola shaped design and narrow drinking spout allow for an effortless and familiar drinking experience.